Welcome to Day 1 of Clearly Besotted Stamps Teaser Time. 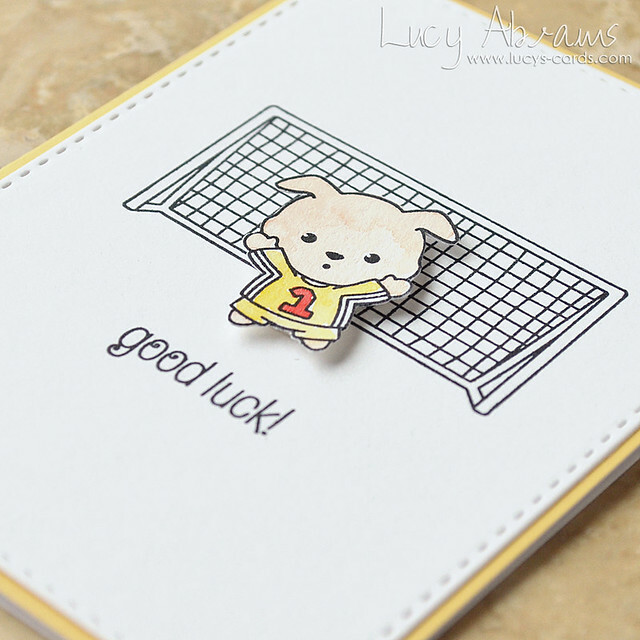 Today I have a simple mini card to share with you created with two new sets - Game On and Game On Additions - cute sets with an adorable sporty theme. Just some soft watercoloring here - so easy. That's all for now, but I'll be back later today with something else... and I'll be sharing another Clearly Besotted sneak tomorrow too. Oh, and be sure to check out Stephanie's blog to see what the boss (tee hee) and the rest of the team have been up to.